An architect by profession, Moyer was crucial in the university’s push to create a more sustainable campus environment by encouraging the construction of LEED-certified buildings that reduce energy consumption and waste. Some examples of these buildings on campus are the P. Douglas Kindschi Hall of Science and the Mary Idema Pew Library, the first platinum-certified LEED library in the state of Michigan. Moyer, who also served as a member of GVSU President Thomas Haas' cabinet, emphasized how the collective efforts of students and faculty created a mindset of conservation and environmental sustainability on GVSU’s campus. 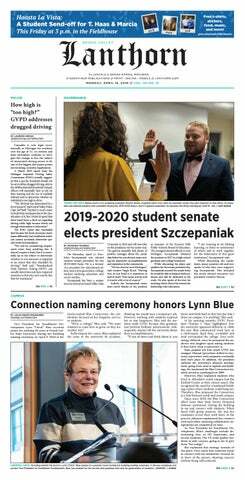 “Grand Valley, its students and its employees recognized that they were having an impact on the region and the local environment,” Moyer said. “We began to purchase more local services, support the regional transportation system, support local merchants, support and grow recycling efforts of all types. Students began to practice their education, and overall the institution began to make better choices. Being a part of GVSU for 22 years has allowed Moyer to see a variety of buildings be constructed or undergo renovations as the university has grown and changed. While GVSU is a relatively young university compared to other Michigan institutions, each building has a unique history behind it, and even buildings deemed garish or ugly often serve an important role on campus. “Architecture represents the time in which the building was constructed,” Moyer said. “Take for example Grand Valley Apartments, constructed by a developer to give students a lower-cost alternative than university-owned housing. The structures represent the economic decision made at that time. It has been in operation for more than 30 years, and this year we undertake a significant upgrade of the buildings. You can find examples of those developer-constructed buildings near many campuses. It is not bad architecture; it is functional and provides an alternative for the students." Moyer leaves GVSU in good company, as longtime facilities planning project manager and team leader Karen Ingle will fill his position. He leaves her with the advice that facilities planning is important in all aspects of the university and that the collaboration between facilities and various happenings on campus is important. As Moyer prepares for retirement, he leaves a university that has changed drastically over the past 22 years. Although the university has grown, Moyer’s efforts to encourage environmentally friendly development have placed GVSU as one of the greenest campuses in the U.S., making the Sierra Club’s list of coolest campuses in 2017. Moyer’s career will be celebrated at the Alumni House on Wednesday, March 28, from 4 p.m. to 6 p.m. as GVSU thanks him and wishes him a happy retirement.